Announced in May 2018, Oppo Realme 1 continues to be in our list of best phones to purchase in India below Rs 10,000 for a third consecutive month. Challenging Xiaomi’s long-lasting dominance in sub-Rs 10,000 segment, Oppo Realme 1 is selling in three variants with the base model starting at Rs 8,999 and going all the way up to Rs 13,990 for the top-end variant. Oppo Realme 1 features a 6-inch Full HD screen, packs a MediaTek Helio P60 SoC, 3GB of RAM and 32GB of internal storage. It has a 13MP rear camera and 8MP front shooter for selfies. The handset runs Android 8.1 Oreo with ColorOS 5.0 skin on top and packs a 3,410mAh battery under the hood. It features a snappy face unlock. Oppo Realme 1 price in India: Rs 8,990 for 3GB RAM/32GB storage variant. Just like the Realme 1, Xiaomi Redmi Note 5 continues to mark its presence in our list of best budget phones in India below Rs 10,000. Its popularity in the budget segment can be attributed to its great value for money proposition. Xiaomi Redmi Note 5 price in India starts at Rs 9,999 for the 3GB RAM variant and goes up to Rs 11,999 for 4GB variant. The Xiaomi Redmi Note 5 Pro starts at Rs 14,999 in India. Xiaomi Redmi Note 5 sports a 5.99-inch Full HD+ display with 18:9 aspect ratio. The phone runs their custom MIUI 9 out of the box. Powering this handset is a Snapdragon 625 processor, 3GB RAM and Adreno 506 GPU for graphics. It packs a 4000mAh battery. The device houses a 12MP main camera and a 5MP front shooter. The handset also features a rear-mounted fingerprint sensor. Xiaomi Redmi Note 5 price in India: Rs 9,999 for 3GB RAM/32GB storage option. In the budget segment, Honor 7C remains as one of the best smartphones to buy in India this month below Rs 10,000. Although Honor 7C falls under the affordable segment, it performed well during our review. The camera performance was above-average and battery performance delivered a backup of 12 hours. Similar to Redmi Note 5, the Honor 7C sports a 5.99-inch 18:9 display with minimum bezels, however it has HD+ resolution. The handset is powered by Qualcomm’s Snapdragon 450 octa-core SoC and 3GB RAM. It features 32GB expandable storage and 3000mAh battery. Honor 7C sports 13MP+2MP dual rear sensors and an 8MP selfie camera. Honor 7C price in India: Rs 9,999 for 3GB RAM and 32GB of expandable storage. 10.or G offers dual 13MP sensors on the back and a single a 16MP front-facing shooter for selfies. Notably, it runs on a Qualcomm Snapdragon 626 SoC, 4GB RAM and stock Android UI. The handset sports a 5.5-inch Full HD screen with Corning Gorilla Glass protection and 64GB expandable storage. Overall, 10.or G pretty much ticks all the right boxes. 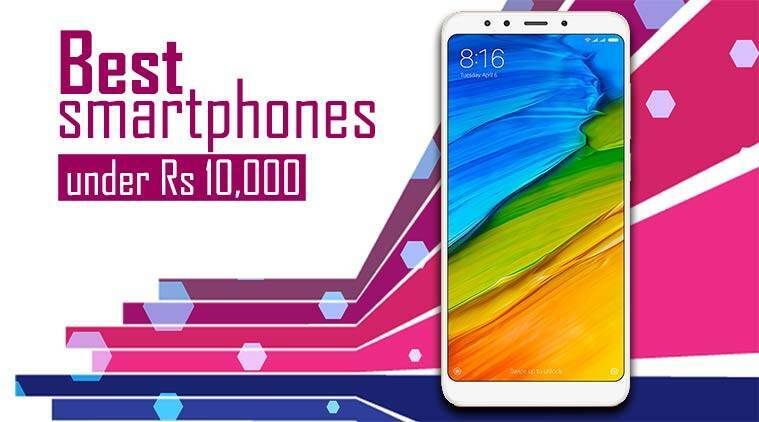 10.or G price in India: Rs 9,699 for 4GB RAM and 64GB storage. Xiaomi Redmi 5A is arguably the best entry-level Android phone one can buy in India this month. It is available in two variants 2GB RAM / 16GB storage and 3GB RAM / 32GB storage. During our review, the Redmi 5A managed to last a full day of standard usage. Although it is not made for running graphics-intensive games, video consumption is fairly enjoyable. Specs-wise, the Redmi 5A offers a 5-inch HD panel on the front. Internally, there is a Snapdragon 425 SoC and 3000mAh battery. The handset runs Android Nougat-based MIUI 9 software. 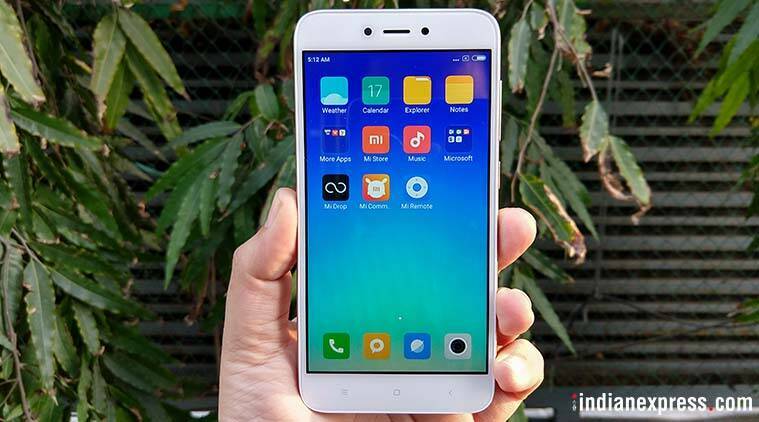 Xiaomi Redmi 5A features a 13MP main camera and 5MP selfie camera. However, it misses out on a fingerprint sensor. Xiaomi Redmi 5A price in India: Rs 5,999 for 2GB RAM/16GB storage option and Rs 6,999 for 3GB RAM/32GB storage option.